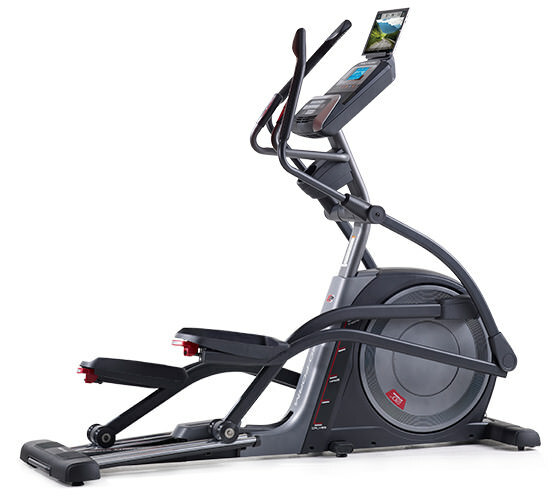 Fitness Equipment Source / Blog / Blog / Should You Purchase an Elliptical or a Treadmill? Should You Purchase an Elliptical or a Treadmill? Regardless of what type of cardio machine you purchase, you are going to reap some serious rewards. It is going to help you take control of your health, drop pounds, and improve your cardiovascular fitness. Now… the big question. Should you buy an elliptical or a treadmill? Each machine has its benefits and drawbacks. We decided to break down the main points to consider in this handy guide. Low Impact Workout – Ellipticals can be great for people who have knee, hip, or back issues. They provide a very low (to zero) impact workout that lets you increase your heart rate without jarring your body. The stress felt from using an elliptical is going to be about equivalent to walking on a treadmill or outdoors. Great Cardio Workout – Ellipticals can provide an effective cardiovascular workout just like treadmills, rowing machines, or stationary bikes. Upper Body – Tone your lower AND upper body on an elliptical by taking advantage of the moveable handle bars. While it’s possible to simply grip the bars for balance, we recommend that you actively use your arm muscles to pump the bars for a better full body workout. Motion Variety – You will be able to target a variety of muscle groups in your legs, core, and upper body using an elliptical. Specifically, you can pedal the machine backwards to work the muscles in your calves, glutes, and hamstrings. Cross-Training Benefits – Even if you are training for an upcoming road race, cross-training needs to be an important part of your plan. Non-running exercises give your body a break from high impact workouts while challenging different muscle groups throughout your body. Ellipticals are excellent machines to use for cross training so you can stay fresh and avoid overload injuries. Slightly Safer – Since your feet are remaining on the pedals without ever lifting, we can cautiously say that ellipticals are a bit safer than treadmills. That being said, accidents are always possible if you’re not paying attention or have young children or pets around your machine while it’s in use. Learn more about elliptical safety here. No Maintenance Required – Compared to a treadmill, ellipticals need virtually no maintenance. Treadmills, on the other hand, sometimes need tread belt lubrication and re-centering of the belt. 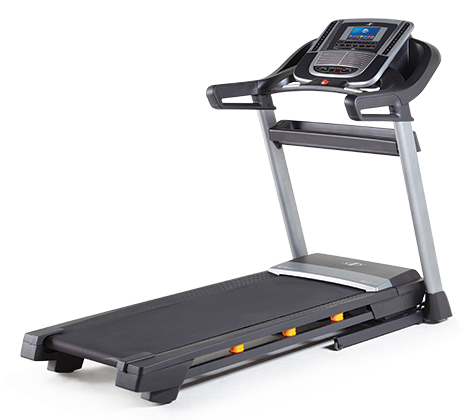 We do have several ‘maintenance free’ treadmills that we recommend as well. Resistance Training – Ellipticals allow you to adjust the resistance so you can push your muscles and burn more calories. Resistance training promotes healthy bones, raises your overall metabolism, and helps prevent injury. Quieter – This feature will be especially attractive to parents with young children. A quiet elliptical will usually make less noise than a quiet treadmill. It makes sense when you think about it. You won’t hear any footfalls that can wake up sleeping kiddos. Real Life Training Scenario – If competition is your thing, then you are likely working towards your next running race in the coming weeks. Whether it’s a 5K or a marathon, you are going to want to train your body to handle the race day challenges. Treadmills provide a more authentic experience for runners to actually run and increase their stamina and speed. More Abdominal Muscle Engagement – Since treadmills require you to lift your feet completely off of the ground, you will need to engage your ab muscles more to keep your body centered and stable on the treadmill. Easier to Fit in Your Home – Treadmills are usually a bit easier to fit into your home since they do not need a high ceiling or excess length. There are some compact ellipticals to choose from. Here’s a handy article about choosing the right elliptical for your smaller home. Interactive Features to Keep You Entertained – Both types of machines can come with great features like iFit Live, ViaFit, MyLiveLight, and Internet browsing for an engaging workout experience. Durability and Warranty– We have several brands that we really like for durability, warranty, and customer service. Check out our Best Buys page to see our top picks in each pricing category. If you are interested in finding the right treadmill for your body and budget, then check out our sister site at Treadmill-Ratings-Reviews.com.